How IDW turned back the clock for a new story about the rebel sisters. 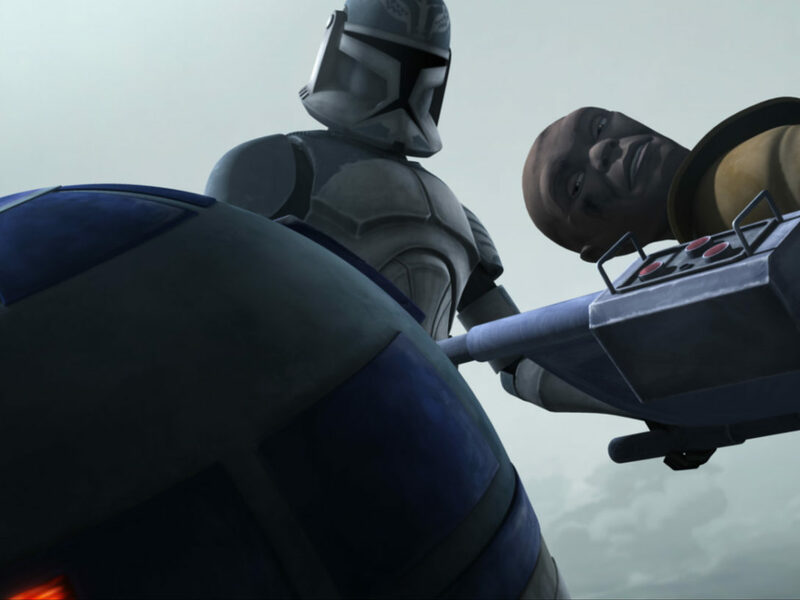 Spoiler warning: The article discusses specific characters and events from Star Wars Forces of Destiny: Rose & Paige. 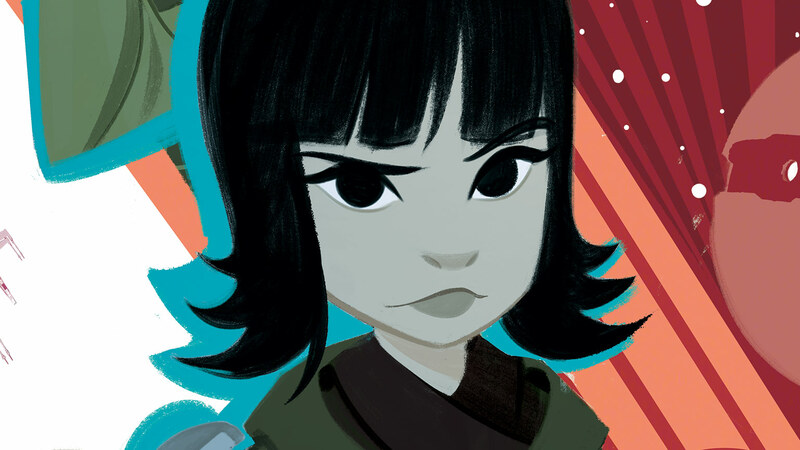 Rose Tico may not realize it yet, but her unique ideas and prowess as an engineer are as essential to the Resistance cause as any flyboy or Force wielder. Before she grew up to launch daring missions to Canto Bight, she and her sister Paige learned how to support each other and save what they loved as children joining the fight against the First Order. 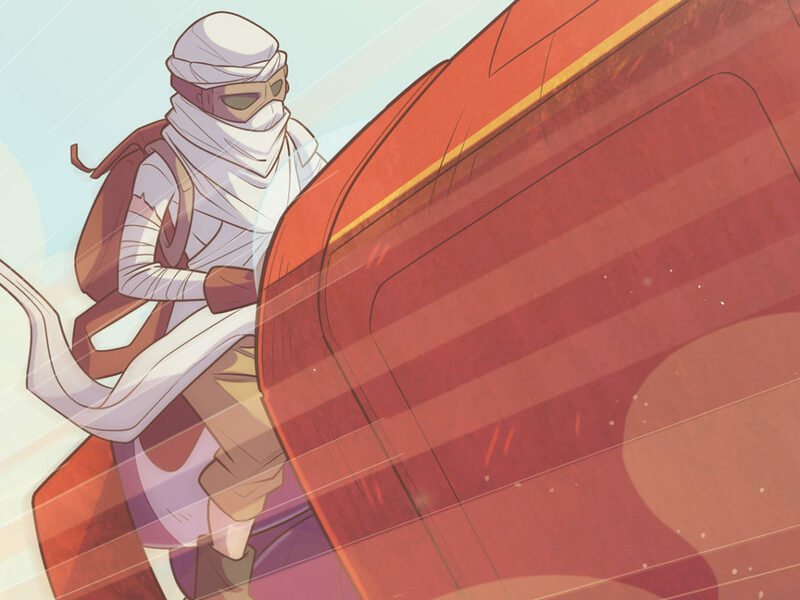 In the fifth and final installment in the new Star Wars Forces of Destiny series from IDW Publishing, we get a front row seat to the evolution of the Tico sisters. 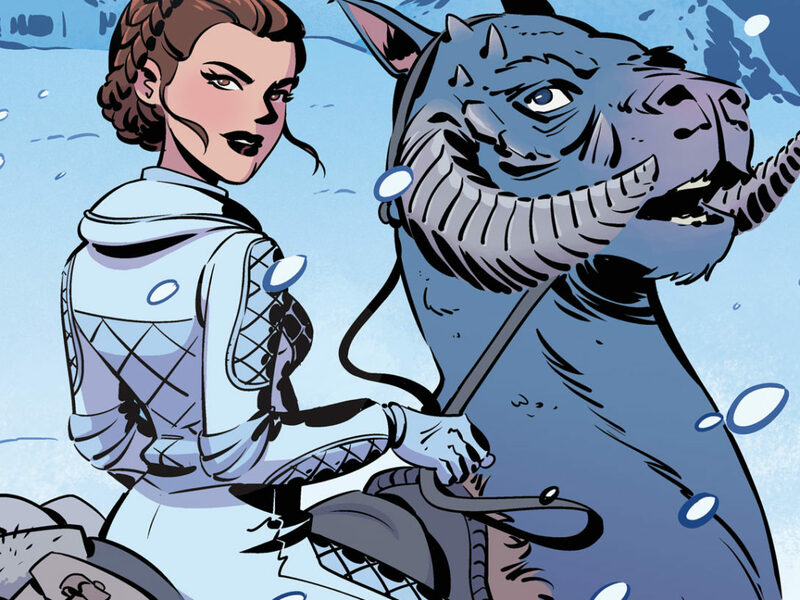 Throughout January, we sat down with the rotating cast of talented creators behind the mini-series, exploring the galaxy from the blindingly white snowscape of Hoth in Leia’s story, to the sands of Jakku where we found Rey, the far-flung outpost where Hera helped to inspire new heroes, and a return to a more civilized age with Padmé and Ahsoka. 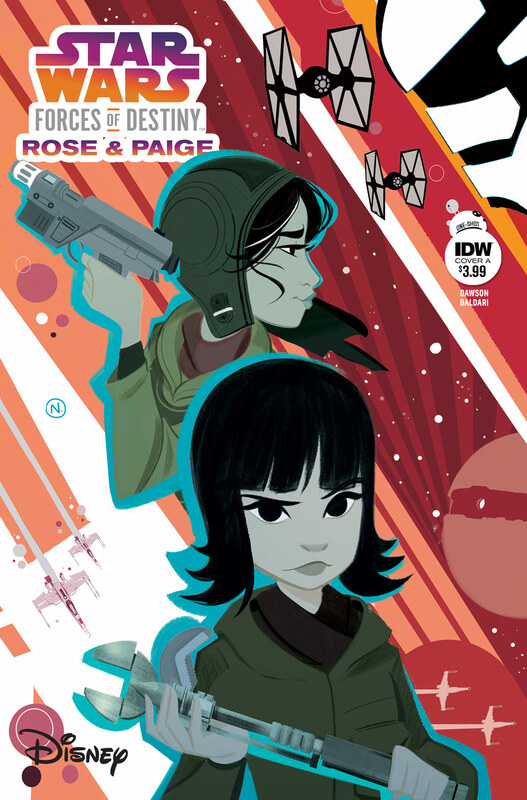 This week, author Delilah S. Dawson and illustrator Nicoletta Baldari, the duo behind Star Wars Forces of Destiny: Rose & Paige (available starting today), e-mailed with StarWars.com about creating canon critters with impeccable beards, falling in love with “murderbears,” and why the Tico sisters are emblematic of the very core of the Resistance and its future. 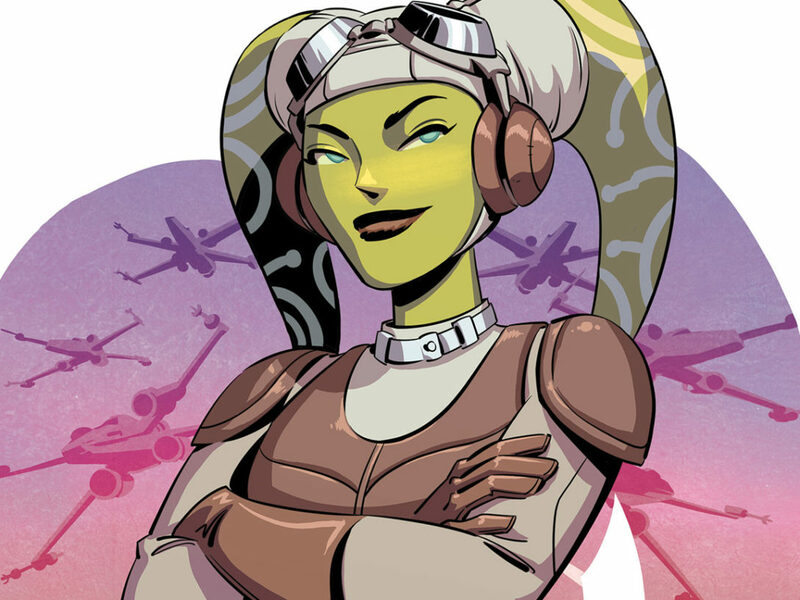 StarWars.com: Delilah, you’ve gotten the chance to pen not one but two Tico sister stories for IDW, including a tale in Star Wars Adventures #6, which also just came out this month. 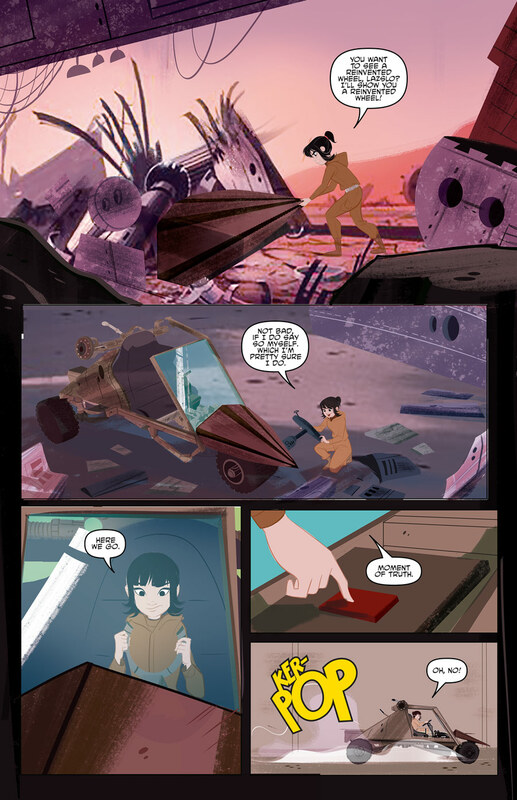 The Ticos haven’t yet appeared in the Forces of Destiny animated micro-series and in The Last Jedi we didn’t get to see them interact on screen. What was it like stepping in to fill in some of their backstory knowing what was in their future? Delilah S. Dawson: It was a unique process that involved keeping oodles of secrets. I read the script for The Last Jedi in November 2016 (so I could write Star Wars: Phasma), which means I knew what happened to Paige and how Rose took on a starring role. 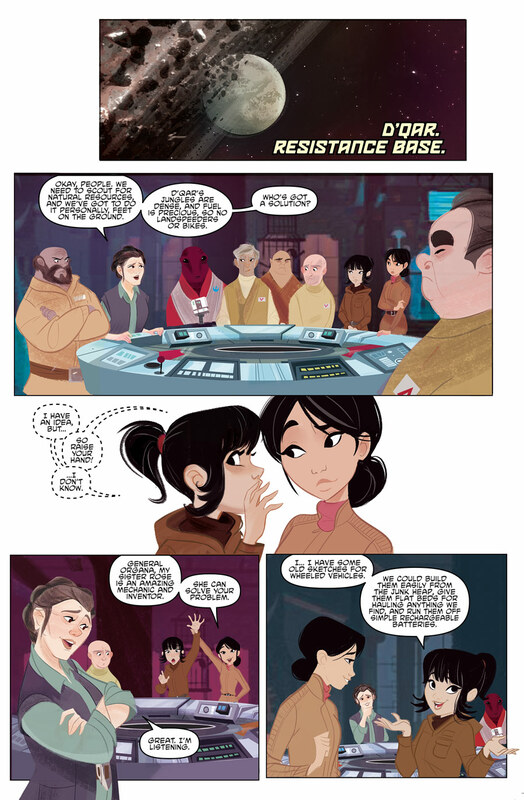 In order to write the comics, I also needed to read an early draft of Cobalt Squadron by Elizabeth Wein and Phil Noto so that I had some context for Paige’s personality and speech patterns. For a little while there, I was one of the only people in the world who knew the story of the Tico sisters! And when I saw Paige onscreen, I was completely gut punched, in part because I knew her character so well already. It was an honor to write about Rose and Paige. To me, they’re the heart of what the Resistance means: ordinary people willing to make sacrifices in the hopes that other people and planets won’t have to suffer. StarWars.com: How do you know when you have the dialogue, the movement, and the story just right for these characters in particular? Delilah S. Dawson: I don’t actually know until I see the words with the art, if I’m honest. It’s all about staying true to the character’s heart. For Rose, she’s scrappy and clever and multitalented but ultimately doesn’t think of herself as a hero or anyone special. We all agreed that she would kind of freak out when Poe talked to her, and that she would always be in awe of Leia. For Paige, she has more confidence and is good at her job, but as long as she’s not piloting or acting as gunner, she believes that Rose’s ideas are the way to go. Their love for one another and their drive to do what’s right are definitely a chord they share. 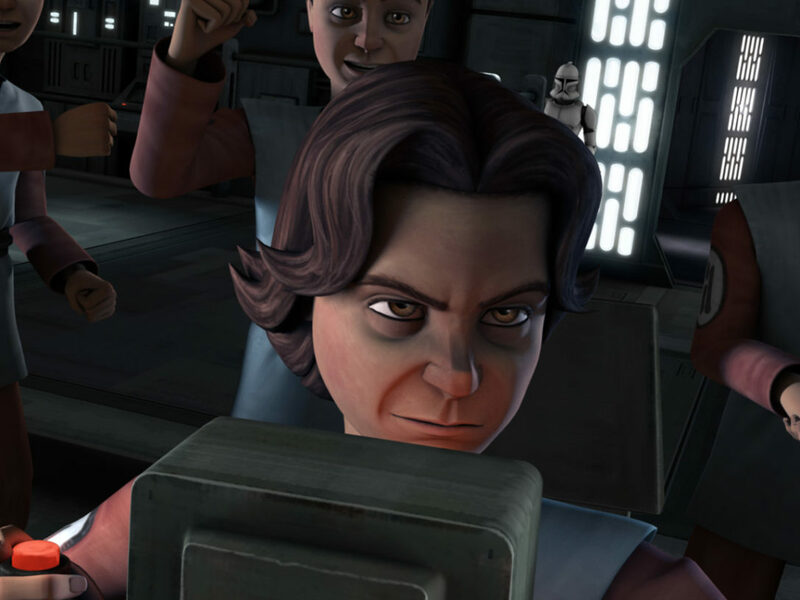 StarWars.com: For me, Rose is a really relatable character because she’s smart and she works hard, but she’s also a little unsure and insecure about her ideas. The whole Forces of Destiny animated series has really shined a light on how important small decisions and moments of bravery can be in shaping a person’s character. Why do you think it’s equally important to include those moments of uncertainty and self-doubt? Delilah S. Dawson: When I was a kid, I was so focused on getting good grades and praise that I never took any risks at all. As I’ve gotten older, I’ve learned that hard work and tenacity will take you further than being born with any talent, and that you can’t grow without taking risks. Rose has these great ideas, but she does doubt herself. Luckily, her sister Paige is there to encourage her and cheer her on. In both of my Rose and Paige stories, I wanted to give Rose moments where she had an idea, doubted herself, was emboldened by Paige, failed a little, kept going, and ultimately succeeded. That, to me, gave her context for her increased confidence and strength in The Last Jedi. StarWars.com: Rose has so much genuine fascination with the world around her. She’s in awe of the heroes in the Resistance, the machinery that keep it running, and the natural world. But not everyone she meets finds her to be endearing. Lazslo in particular seems to regard her as a nuisance, maybe because of her age. In your mind, why is Lazslo such a curmudgeon and how do you think his skepticism defines Rose? Delilah S. Dawson: So here’s a fun bit of trivia: I based Lazslo on Lazlo Hollyfeld from Real Genius. While the original character was a gentle, kind, introverted genius, I wanted to create a kind of Bizarro Lazslo, an older guy who is very sure of himself and his ways and doesn’t want to think outside the box or consider how the younger generation might do something differently. We think of the Resistance as the good guys, which makes it easy to forget that everyone in the movement has flaws, and some of them are straight up jerks. He’s supposed to be the opposite of Rose: an older mechanic who is not open to new ideas, who is world-weary and not that interested in other people. And in that opposition, he gives Rose something safe to rebel against, someone to defy. Sometimes that kind of opposition is more valuable than cheerleading and encouragement! Nothing makes me want to accomplish something like someone who tells me I can’t do it. StarWars.com: Nicoletta, you’ve put your artistic touch to a lot of beloved characters, from Strawberry Shortcake to the Powerpuff Girls. What has it been like stepping into the Star Wars universe and how did it influence your stylistic choices? Nicoletta Baldari: I think every project has a particular style that fits perfectly. For Star Wars, I really enjoyed working on Rose and Paige. At first, I focused on the fact they are sisters. I worked a lot on Disney’s Frozen, so knowing quite well the connection between Anna and Elsa has helped me a lot! I thought, Rose and Paige have fun together, so they had to be funny, but at the same time they are Resistance girls, so they also had to have some pathos on display! So I focused on their actions. Then, I tried to mold my style into the Star Wars mood. StarWars.com: Let’s talk about the squonks. What was your inspiration for these bearded, bird-like creatures? They feel very ostrich-like to me. Nicoletta Baldari: Aha! I actually started from an ostrich, with some attributes from other animals. A little goat, a funny rabbit, so I worked like a “drawing chef” mixing together all these ingredients! But every squonk is very particular, they take care of their beards, and they’re definitely cute. Delilah S. Dawson: My husband and I have been together for over 20 years, and we’ve been leaving little hand-drawn notes the entire time, often with characters we’ve made up. Back in 2001 or so, we came up with two kinds of birds called squonks and squeepies. I put the squeepies in Phasma, so I had to find a way to use the squonks! For these particular creatures, I wanted to combine the two most ridiculous animals I know: ostriches and goats. I’m a little beard-obsessed right now, owing to my next book, Kill the Farm Boy, which has a running gag about how it’s difficult to do magic without a beard. The creatures were my first love in Star Wars: the Ewoks, all the interesting aliens in the cantina, Salacious Crumb, and the rancor in Jabba’s palace. I love getting to create new critters! StarWars.com: How did you first discover Star Wars and what turned you into a fan? Delilah S. Dawson: I always knew about Star Wars as a kid, but what really drew me in were the Ewoks. I mean, I was six, and they were murderbears who were kind to little girls! I soon had a collection of stuffed Ewoks, a bunch of action figures, Colorforms, and books. 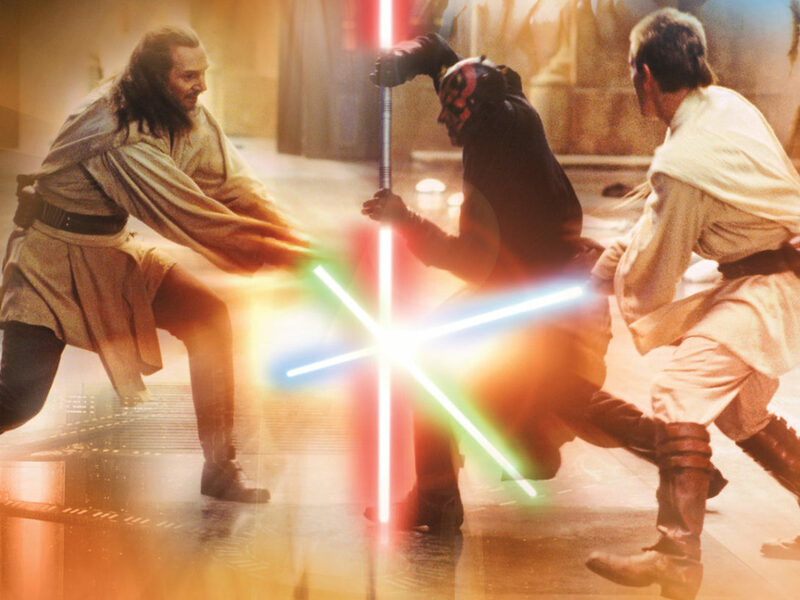 I grew to love all the movies and saw the prequels in the theater, including being late for our wedding’s rehearsal dinner to see Attack of the Clones at the first possible showing. I played the RPG and card game and read the EU books, including that time I fell off a treadmill when Chewie died. Over the years, my love of Star Wars has only grown, and the new movies are taking us into the next generation. Seeing them in the theater with my kids is such a gift and delight. 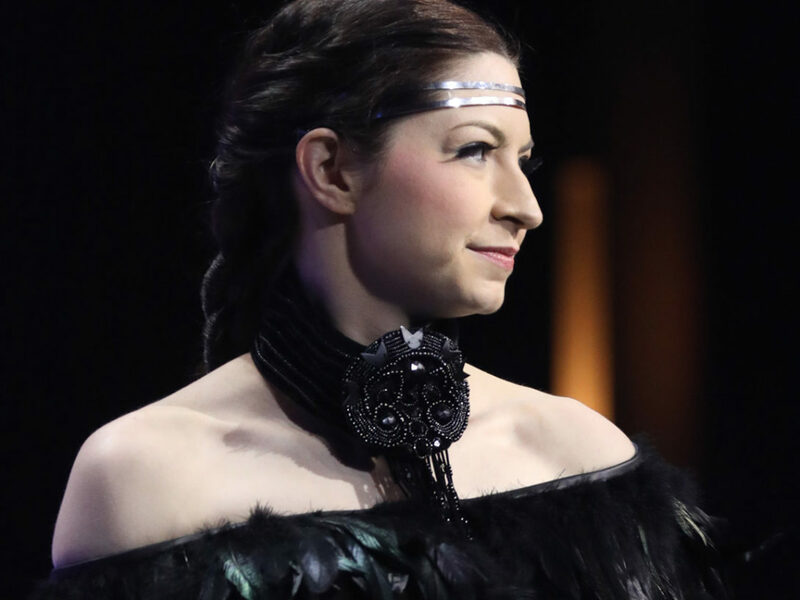 StarWars.com: Delilah, writing about Rose and Paige is quite a departure from your recent work focusing on Cardinal and Captain Phasma. Instead of a bitter rivalry, the Ticos give you a chance to explore a sisterhood dynamic that, full disclosure, made me a little misty. As a writer, what draws you to these complex bonds between characters and how do you make them feel authentic on the page? 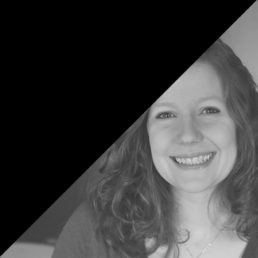 Delilah S. Dawson: Whether I’m writing a villain or a hero, the most important thing is to identify that character’s heart, the core of their personality. What do they want, and what are they willing to do to get it? I take in as much media as I can so I can hear their word choice and cadence, see their facial expressions, notice what they wear and how they move through the world. Backstory is important, too — knowing what experiences made them who they are. Rose and Paige are all about their bond with each other and their shared tragic history that propels them to heroism, while Phasma is all about sacrificing anyone and anything to stay alive and get ahead; Cardinal is nothing to her but a speed bump on the road to greatness. StarWars.com: Star Wars does an amazing job of harking back to classic films and tropes. What were you looking to for inspiration for this project? 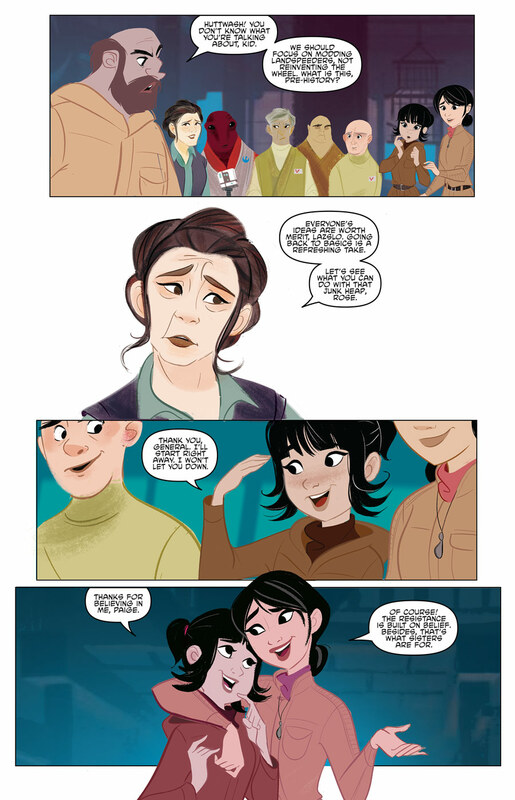 Delilah S. Dawson: For Forces of Destiny, I wanted that same feel of Leia lost and alone on Endor. Her vehicle broken in a forest, she couldn’t communicate with her people, and then a helpful creature (although let’s all admit the Ewoks are sentient beings!) showed up and ultimately helped her find her sibling. 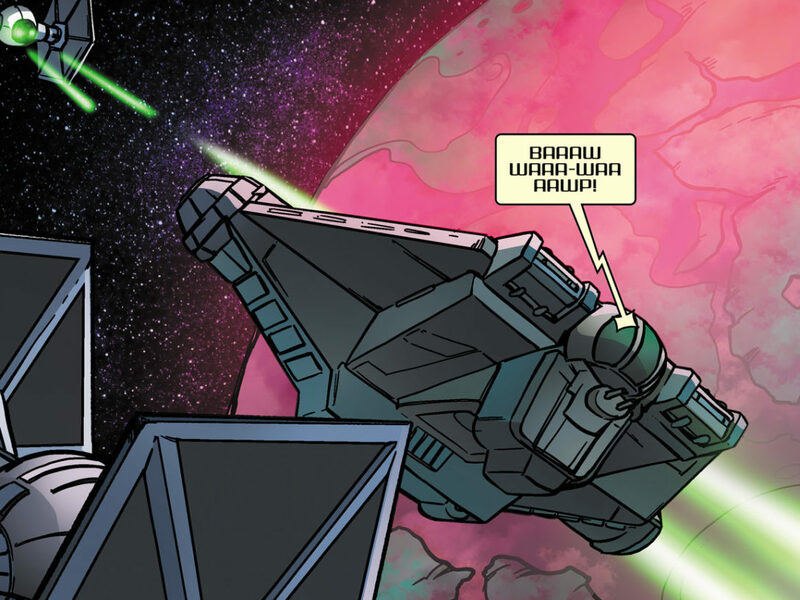 StarWars.com: When you look at the finished comic now, what are you most proud of? And what aspect or individual detail was the most challenging for you? Delilah S. Dawson: I definitely feel like Nicoletta’s art steals the show here, so I guess I’m proud that I gave her a framework to create such an amazing and beautiful story. The colors in the jungle and the hilariousness of the squonks — I just adore her interpretation. The most challenging thing was figuring out how to get Paige’s car over a barrier that Rose’s can’t cross. I tried to describe the deadfall from Pet Sematary, but what Nicoletta came up with is so much prettier. StarWars.com: At the start of this project, did you have any input on what characters you would focus on? And if so, what made you decide on Rose and Paige? Delilah S. Dawson: I was offered the chance to write Rose and Paige, and I didn’t hesitate for a moment. I’m a huge fan of the Tico sisters and wanted to help the world see how great they are. I consider them such wonderful role models for kids, a study in finding people who lift you up and believe in you and in using that belief to do what you can’t do alone. For more on the series, check out StarWars.com’s interviews with the creative of teams of Star Wars Forces of Destiny: Leia, Star Wars Forces of Destiny: Rey, Star Wars Forces of Destiny: Hera, and Star Wars Forces of Destiny: Ahsoka & Padmé!